Bags - Waxwing Bag Co. Patterned on traditional French randonneuring handlebar bags and typically seen on bikes that favor a front load, these bags offer the unmistakeable convenience of having your stuff within easy reach at all times. 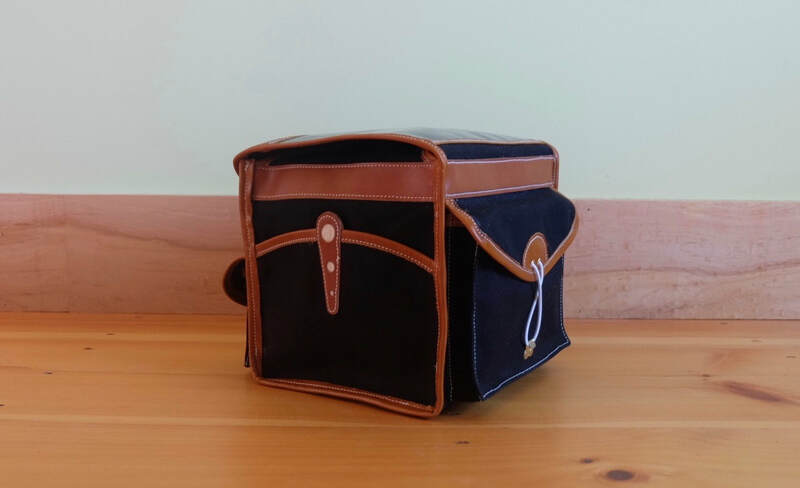 Saddle bags come in a variety of sizes and styles, from the discrete small bag for carrying a few extra items, to the substantial capacity bags that can hold everything you'll need for a day or two on two wheels. Panniers can offer the next step to fully loaded all-you-need-on-a-bike, or for some, they are the go-to bag for everyday use. Porteur bags are large capacity front bags based on the bikes and racks of French newspaper deliverymen from the mid-century. Great for when you'll be hauling a bunch of stuff around town on a regular basis.